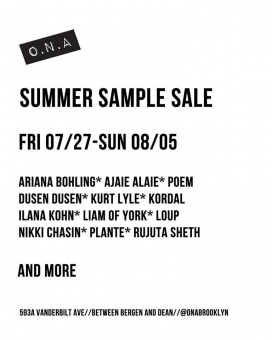 O.N.A will be hosting a Sample Sale featuring women's apparel and accessories at reduced prices. Brands included are Dusen Dusen, Loup, WRAY, Seek Collective, Rujuta Sheth, Kurt Lylem Ilana Kohn, Ajaie Alaie, and Ariana Bohling. Areaware will be hosting a Sample Sale featuring apparel and accessories for men and women and homeware at discounted prices. Featured brands are Kara, Dusen Dusen, Cold Panic, and Chen Chen & Kai Williams. Shop for apparel and accessories for women at bargain prices at the Dusen Dusen and Cold Picnic Sample Sale. 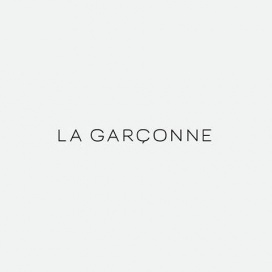 Brands included are Plante, Dusen Dusen, Ariana Bohling, Ilana Kohn, Liam of York, Kurt Lyle, Nikki Chasin, Loup, Rujuta Sheth and Ajaie Alaie. 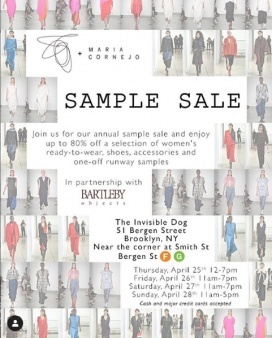 IGWT will be hosting a Multi-Designer Sample Sale featuring apparel for women and accessories at reduced prices. Designer brands included are Seek Collective, Beth, Aelfie, Hannah Kristina Metz Carleen, Dusen Dusen, Poppy + Pima, Elise Ballegeer, H. Fredriksson, Ilana Kohn, Loup, Nikki Chasin, Osborn, PO-EM , Upstate, Whit, Kurt Lyle and Wray. 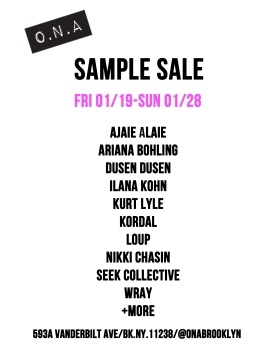 Shop for women's apparel at discounted prices at the O.N.A Sample Sale. Brands included are Ilana Kohn, Loup, Wray, Nikki Chasin, Ariana Bohling, Kurt Lyle, Seek Collective, Dusen Dusen, and Ajaie Alaie. 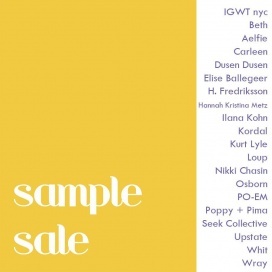 Dusen Dusen Studio will host a sale event which will also feature Cold Picnic and Helen Levi. There will be apparel, pots, and home goods available for a fraction of the price. 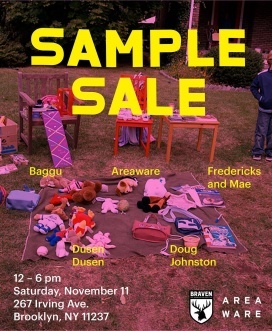 Score lovely home accessories and gift items at reduced prices at the Sample Sale featuring Baggu, Areaware, Fredericks & Mae, Dusen Dusen, and Doug Johnston.